HAMBURG, Germany – The 2019 edition of Internorga, one of the leading trade fairs for the Horeca sector in Europe and across the world, takes place in Hamburg from 15 to 19 March. Over 1,300 exhibitors from 25 countries are in attendance in the 100,000m2 exhibition space to present their latest developments to an estimated audience of over 100,000 visitors. An event not to be missed for Italian coffee machine experts Astoria Macchine per Caffè, given that Germany represents the world’s third biggest coffee market. On its stand (Pavilion B2EG / Stand 102) Astoria continued to celebrate the 50th anniversary of the founding of the company in Susegana, near Venice, Northern Italy, with a party for clients and friends that took place at the end of the first day of the fair. Above all, Internorga offers an opportunity for Astoria to present the all-new Core200, a machine with a minimalist design, built with the greatest attention to detail. The machine is the result of an integrated production system combined with carefully-selected finishing materials that make it a product of the highest quality. 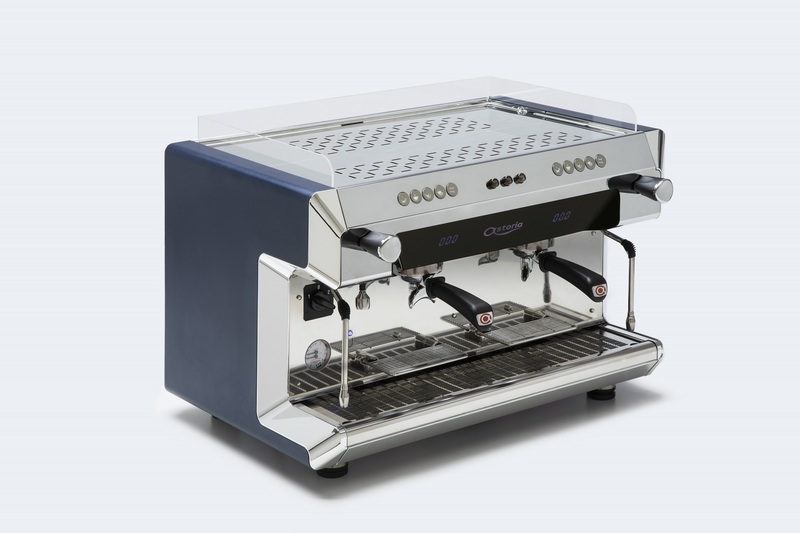 Two models are available on the Astoria stand for German and international baristas and coffee professionals who want to discover everything the new machine has to offer. Meanwhile, technology lovers will be excited to see the new HYbrid Heritage, an upgrade of Astoria’s revolutionary HYbrid, the missing link between traditional coffee machines and super-automatic models. The new machine boasts a revamped design and is testament to Astoria’s ability to innovate to meet the changing needs of the market. Finally, there is the Storm, Astoria’s flagship machine, the perfect mix of craftsmanship and the most advanced technology. The FRC version is also on display, a very popular machine with German coffee lovers and winner of the German Design Awards, an extremely prestigious award that is recognized by the industrial design sector at global level. Present on the stand, together with the Astoria team, is barista Daniel Gerlach, German Latte Art champion, who demonstrates how to make the most of the Storm’s great features, such as the dry steam option.